My partner Dan and I were fortunate enough to catch the last flight into Tallahassee the evening before Hurricane Maria was set to rip through the state. We were assigned to serve as national spokesman and gather content documenting the Red Cross response throughout the state. Over the next five days we witnessed the powerful storm’s calling card and the spirit of the Red Crossers on the ground responding to the unprecedented need. Our barnstorming tour brought us to the Red Cross shelter at the Miami-Dade County Fairgrounds after five days of traveling the panhandle and eastern coast of Florida. The one thing about south Florida in the summer isn’t necessarily the heat, it’s the humidity. Dan and I hurried from our car into the huge air-conditioned facility. After taking a tour of the shelter and meeting the Red Cross workers, I was stopped by a woman with a huge smile. She told me her name was Edna and wanted to talk. I followed her over to cot near the front of room and she shared that she was grateful to be in the shelter and she knew she was safe there. She had all her belongings in small duffel bag and smaller grocery store reusable bag. Just then she pulled out a brand new white t-shirt. It had signatures on it, much like something one might do when meeting a rock star. She held it up on display for me. I told her I’d be delighted to and we walked over to a nearby table where I informed her that I flew in from California. She said she had signatures from Washington State, Oregon and Hawaii. She seemed tickled to know someone from so far away came to help her. My partner Dan soon followed telling Edna that he came from Dallas, Texas and he would be honored to sign. As we continued to chat, Edna said she wasn’t sure of what happens next for her, but she seemed hopeful for whatever the future brings. And all that didn’t matter at that particular moment. 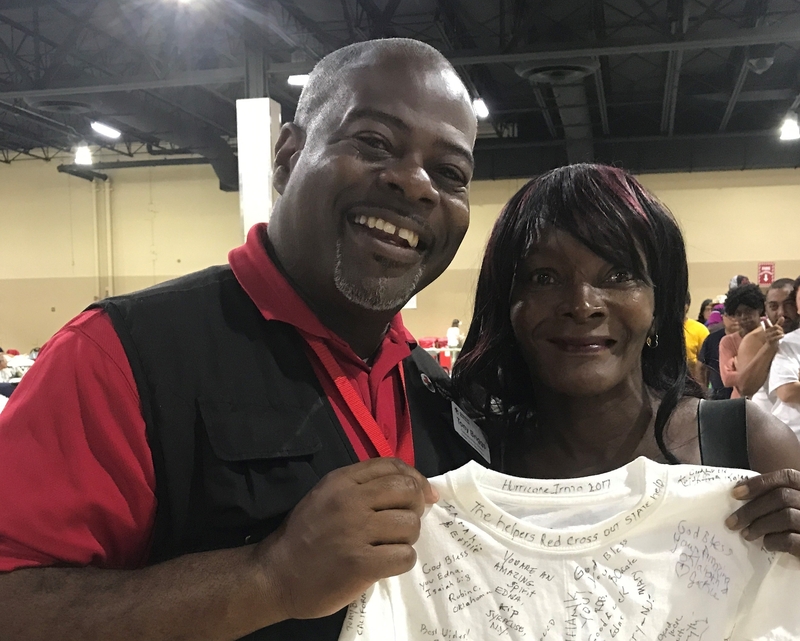 Edna was visibly giddy over the fact that her shirt had so many signatures of people she didn’t know before arriving at the shelter. 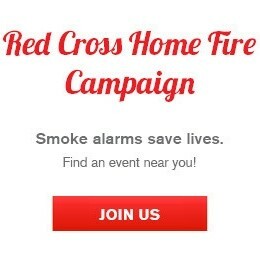 If you would like to become a Red Cross volunteer you can visit redcross.org/volunteer to learn more.